An e-publication The Sweet Waste Dyes Guide – Experiment with recycled colours! (20 pages) is out! In the guide we show you the secrets of garbage dyeing, give you instructions of how to make inks and printing pastes, carve some potatoes for printing purposes and pattern some paper – fun and ecological recycling in mind. The guide is made for everyone interested – but especially for teachers and group councelors. We are glad if our guide can be utilised in teaching or any group activities. Our guide is made to be printed at home. It is shared with Creative Commons licence, which gives permission to share, copy and print it for non-commercial use. Download, share with your friends and have fun! The Sweet Waste Dyes Guide – Experiment with recycled colours! The original Finnish booklet (published in 2013) was supported by the Jyväskylä Art and Science Foundation. You may save the guide to your own computer, print it and share it freely with others. It is forbidden to modify the guide or use it commercially. 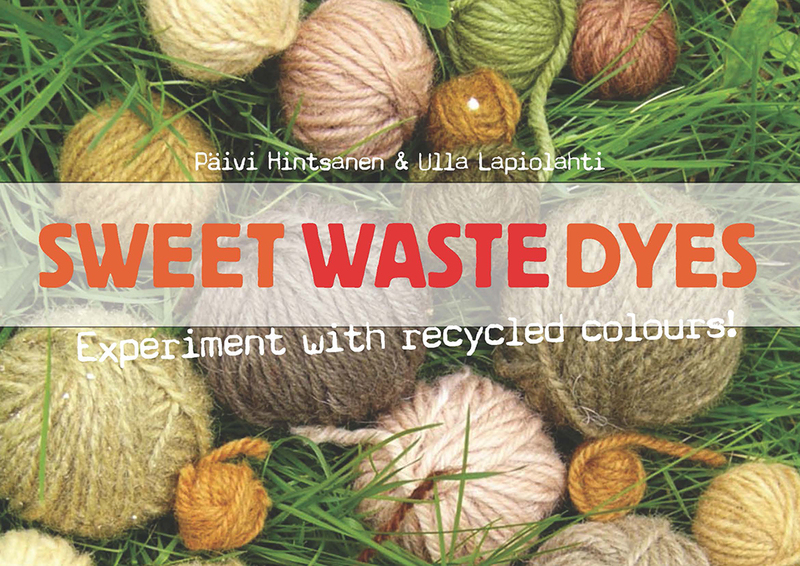 The Sweet Waste Dyes Guide – Experiment with recycled colours!, made by Ulla Lapiolahti & Päivi Hintsanen, is licensed with Attribution-NonCommercial-NoDerivatives 4.0 International license.